For Easter we have prepared a Virtual Easter Egg Hunt! To win: a superb chocolate squirrel! How to participate? It’s easy: Stay tuned for our photos here on Facebook or on our Instagram account! On each grid picture hides an Easter Egg. Find out where the egg is and give us your answer via the participation form that you will find in each photo commentary. The draw will take place on March 31, 2018 at 2pm! The winners will be announced here on our Facebook page! Facebook is in no way bound to this promotion. Carrefour de la Pointe releases Facebook from any responsibility. Activities for the whole family will also be offered such as: mobile mechanical animals and an interactive farm Câlin-Câlin. 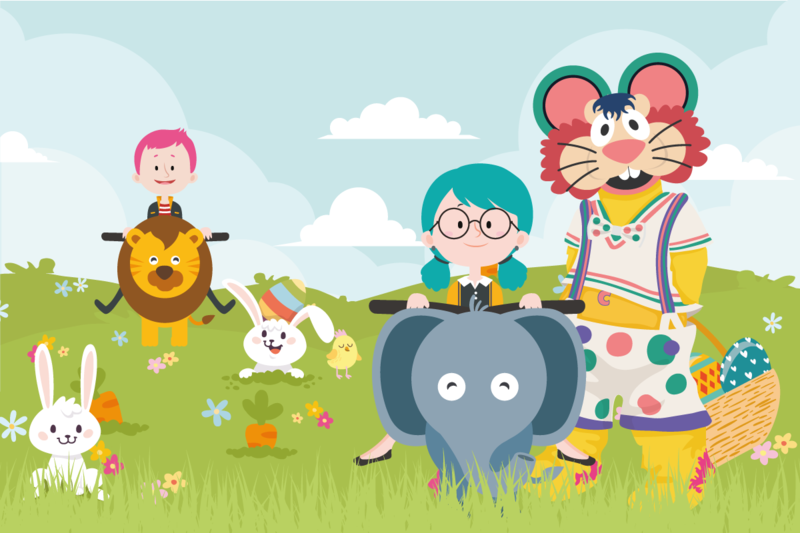 In addition, the pretty rabbit Jujube will animate the Easter Egg hunt and will have gifts and coloring drawings for your children!